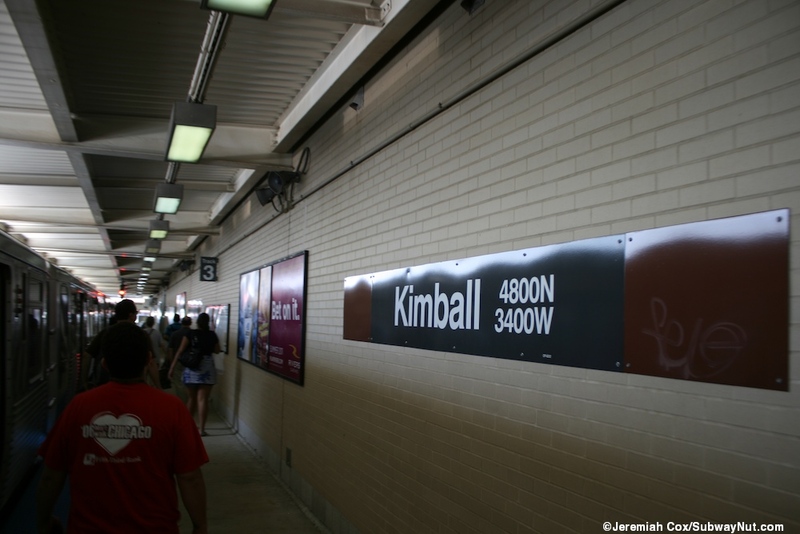 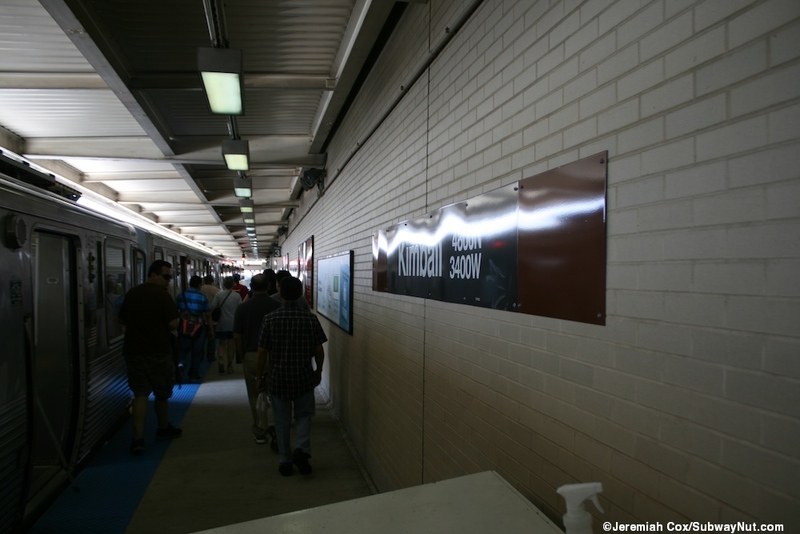 Kimball is the terminus of the Brown Line and was first renovated in the 1970s before being closed again for renovations from September 15, 2006 to January 12, 2007 to extend the platforms to handle eight car trains. 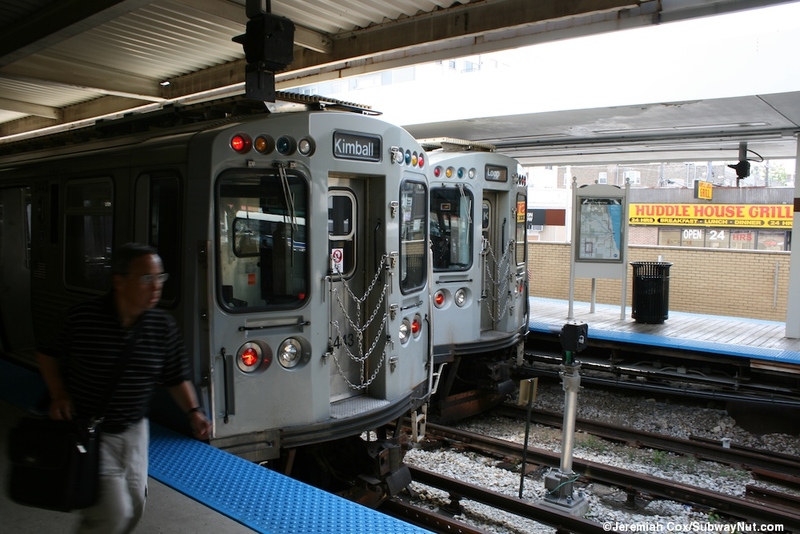 During that time Brown Line trains terminated at Kedzie but still entered the Kimball Station out of service to relay and change crews. 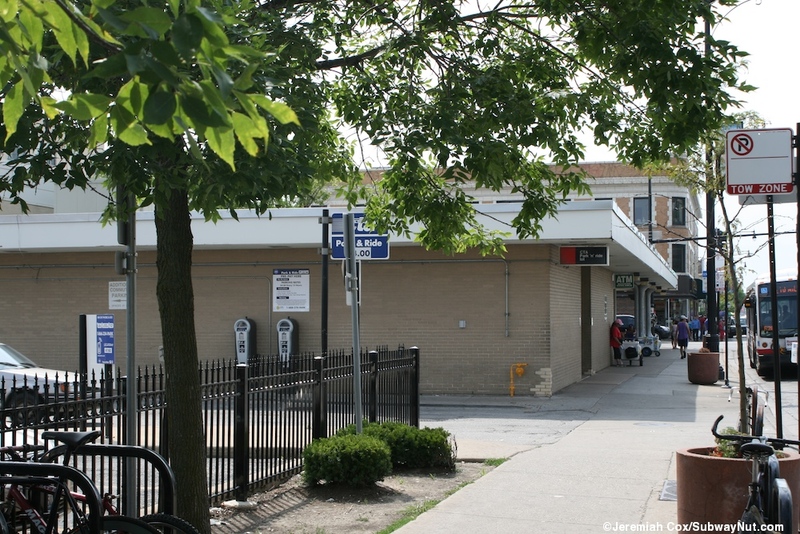 The stop is located at grade level and has three terminating tracks on the west side of the Kimball Yard. 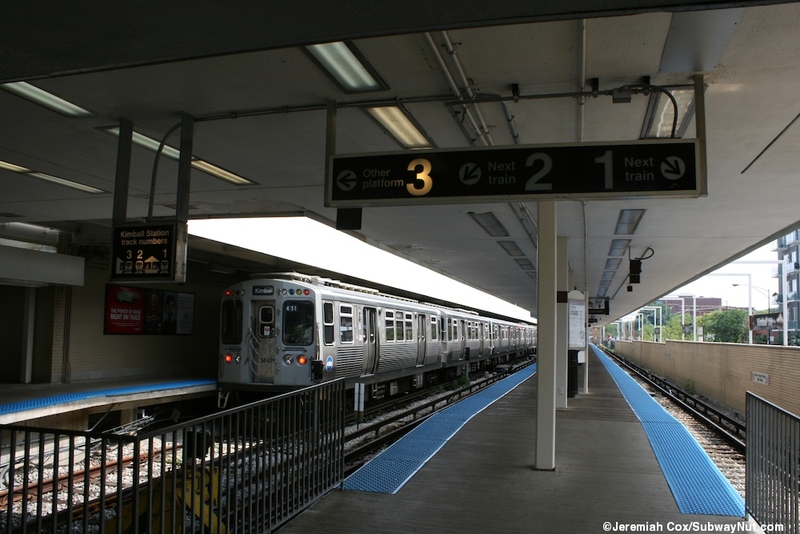 The track and platform layout starting from the west (where Kimball Avenue is) is Track 1-Island Platform-Track 2-Track 3-Side Platform The platforms don't provide a good view of trains in the yard because the shop building (along with a CTA parking lot) is between the station and trains in the yard with the cream colored walls of the building, along the side of the side platform. 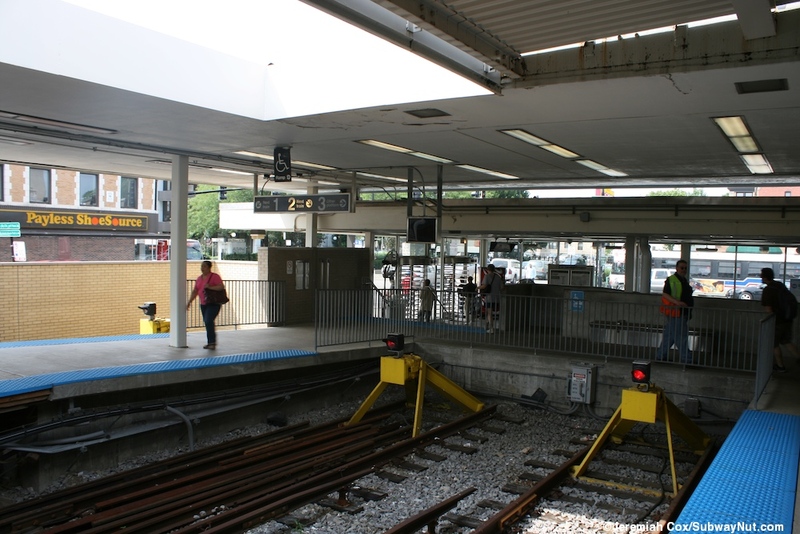 All 3 platforms are covered for their entire lengths with white canopies dating from when the station was first rebuilt in the 1970s. 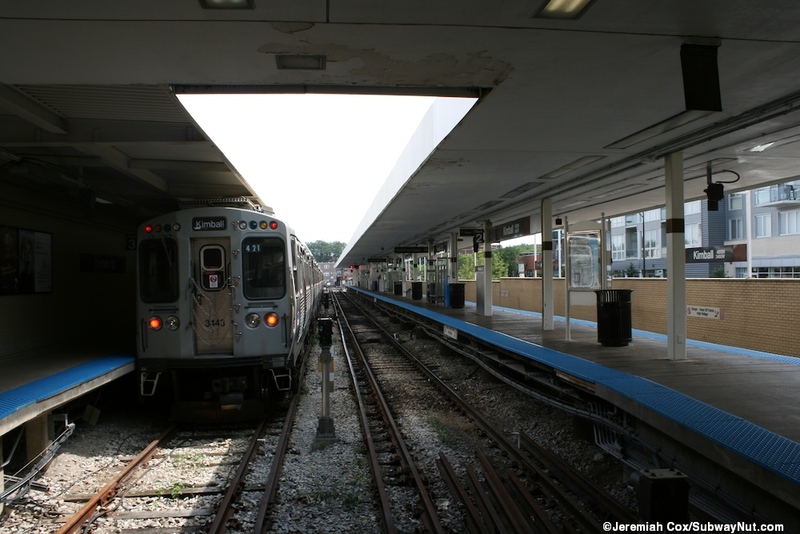 The station exits are all directly beyond the bumper blocks at the end of the tracks and platforms. 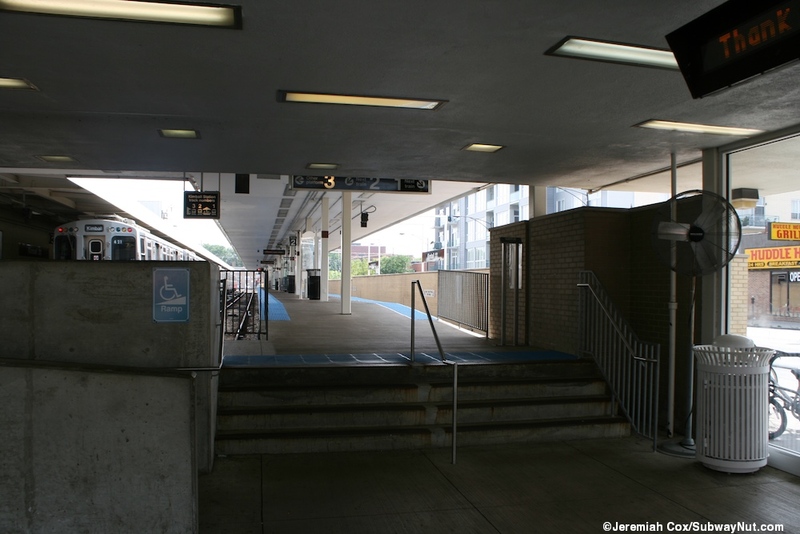 From the side platform for track 3 is high exit turnstile directly out to the 73 space park & ride lot. 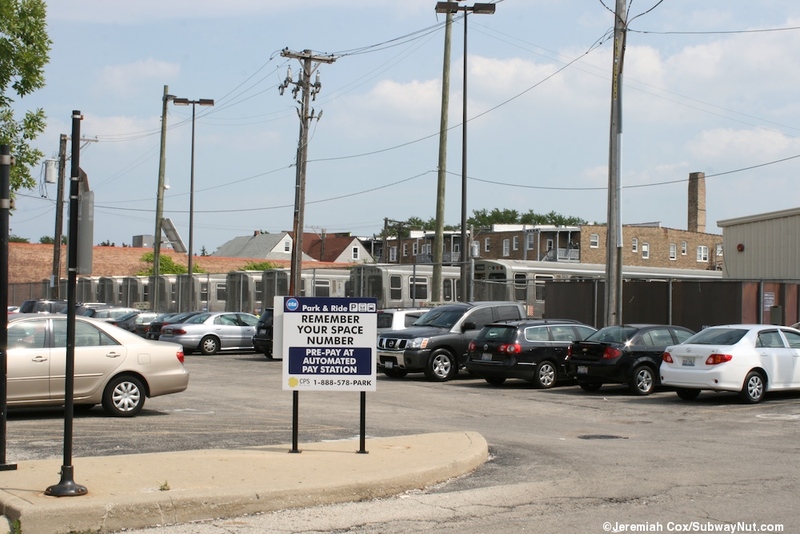 This parking lot runs along the northern boundary of the train yard, giving a nice view of all the trains parked inside it just beyond a chain-link fence. 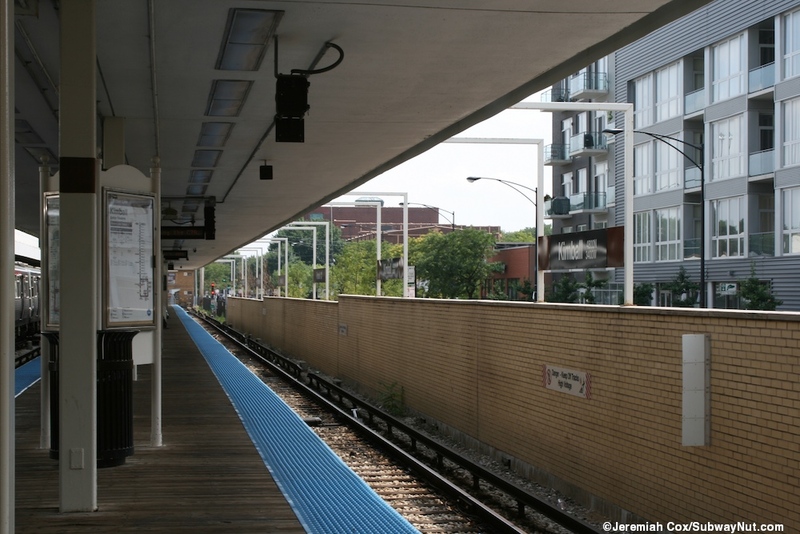 Most passengers exit and all enter the station via the simple tan colored station house that has a flat white roof. 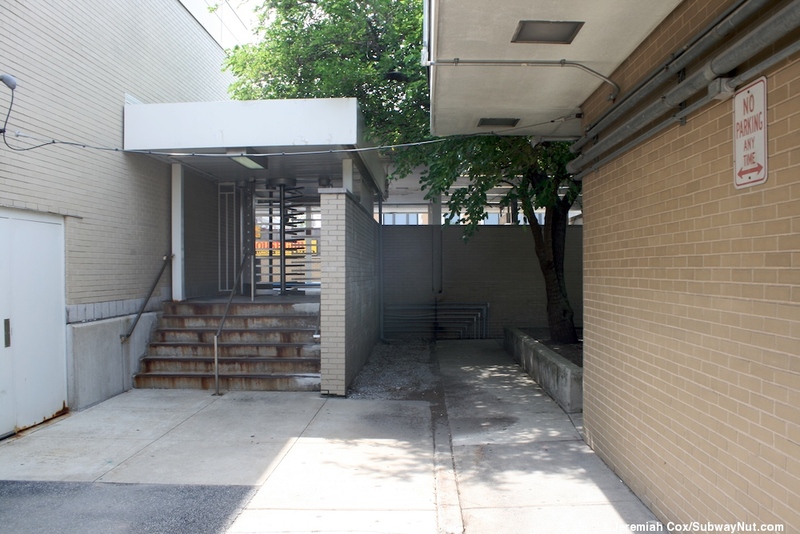 Here four steps and a ramp lead down to the turnstiles towards Lawrence Avenue or high exit only turnstiles directly out to Kimball Avenue. 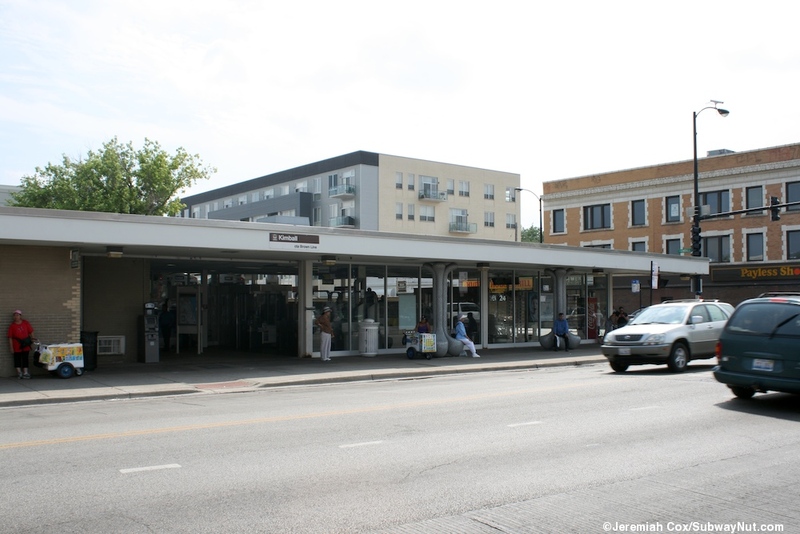 The station house is exactly located at the SE corner of these two streets. 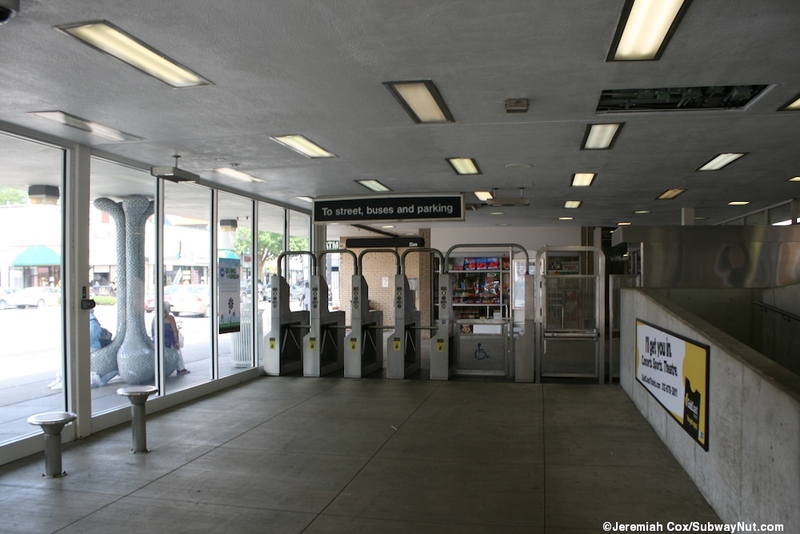 This portion of the station house for passengers have floor to ceiling windows, and a newsstand/lotto tickets store is across from the entrance turnstiles. 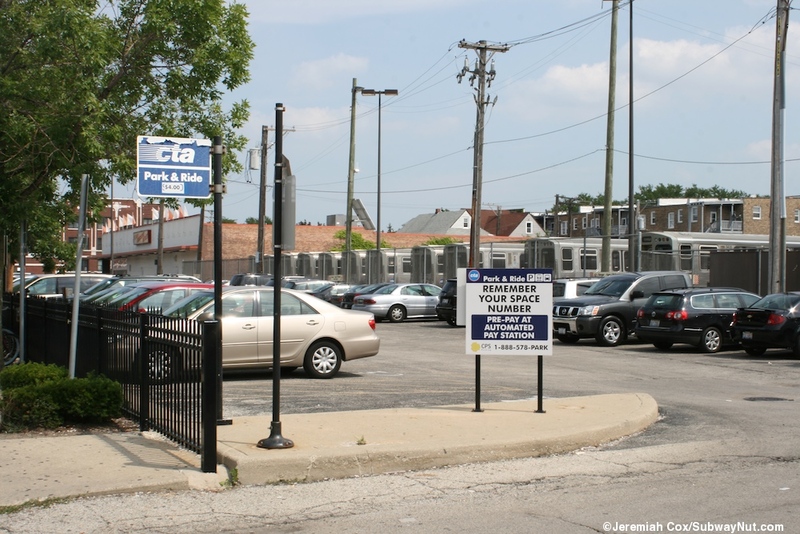 Outside the station is Hope and Renewal by Josh Garber, 2007. 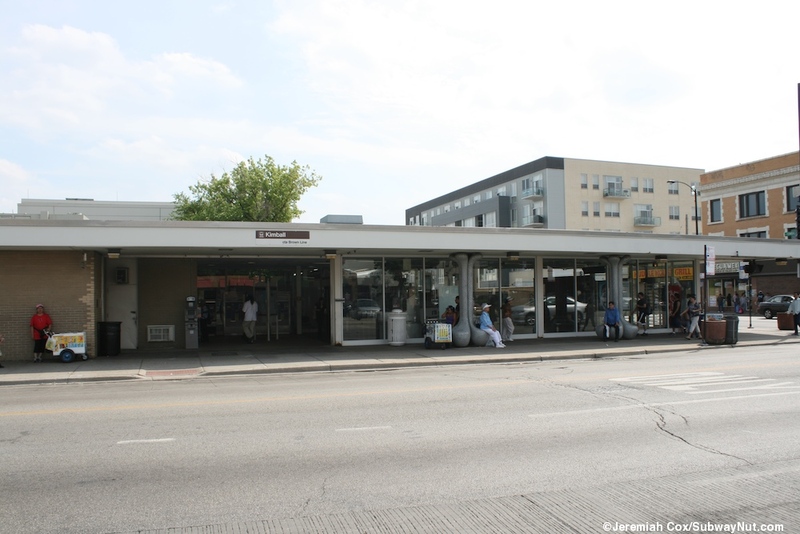 These are decorative Powder-Coated aluminum beams that look like their supporting the roof and form little bucket seats beneath them that are used as seating for waiting bus passengers.